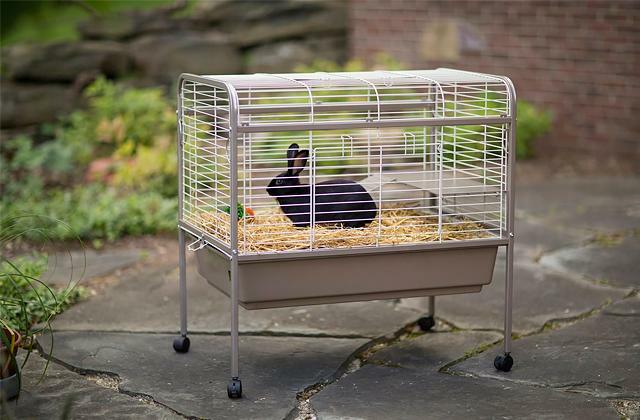 Easy locking system and large wheels provide your pet with a comfortable ride. An internal tether can keep your pet safe and secure. The adjustable waist belt is not suitable for cats. This three-wheel pet stroller model is an excellent purchase for the people who like walking or even jogging with their pets. 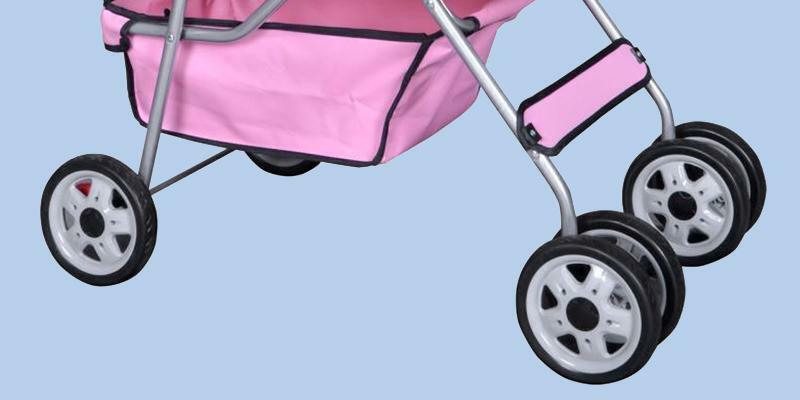 30" х 13" х 22"
Adjustable handle allows you to regulate the height of the pet stroller. 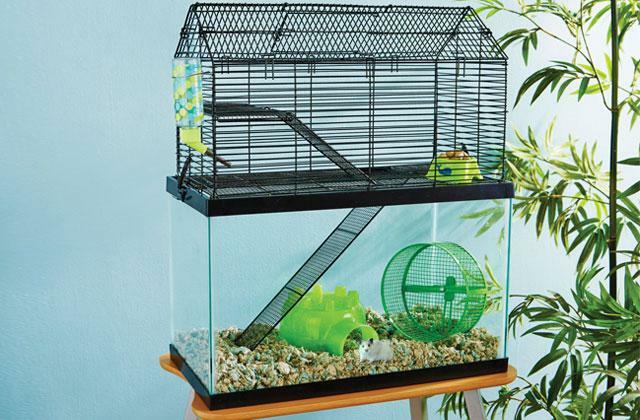 An excellent air circulation provides your pet with a constant fresh air flow. This carriage is not suitable for small pets. This model of a pet stroller will be an appropriate one for transportation of large dogs or several puppies. 32" х 25" х 24"
An easily foldable construction helps open and fold the carriage within 5 seconds. Front and rear entries are convenient for your pet. A new carriage has a specific odor, but it loses its intensity within a short timespan. If you look for a compact pet stroller for your lightweight pet, this very model will satisfy your demand. 21" х 13.5" х 20"
Due to the NO-ZIP latch mechanism one-handed opening and closing are possible. It would be better if a manufacturer put 2 tethers inside the pet stroller because some people have two dogs or puppies. This stroller is a necessary item for the owners of small dogs and cats that weigh up to 35 pounds. 24" х 12" х 22"
Large storage basket allows keeping pet's toys and snacks as well as your stuff. Front reflectors make the stroller visible in the dark. The wheels might slide on the grass. OxGord 3-Wheel Folding Pet Stroller Deluxe is suitable for medium sized dogs. Besides, you can easily use it in a cross-country area. 26" x 21" x 16"
In general, Pet Gear pet strollers are considered to be the hottest-selling goods for pets. The design of Pet Gear No-Zip NV Pet Stroller model includes 1 front wheel and 2 back wheels. It allows you not only to take it for walking outside but also for jogging with your pet. It should be added that a manufacturer equipped this stroller with front shock absorbers and back brakes. Being equipped with a weather cover and bolster pad for the comfort of your furry friend, this carriage has become an ideal dog jogging stroller. As pet owners report, jogging sessions make their dogs extremely happy! As this stroller model is equipped with 12-inch ribbed wheels with Air Ride tires, we can consider an excellent passability of this pet stroller. Thus, this carriage can be used for travelling over rough terrain and prevent the stroller from sliding on the grass. To avoid dangerous situations, manufacturers installed the rear brakes. In other words, all these technical characteristics make this pet stroller model especially reliable and convenient both for a pet and a pet owner. The dimensions of the pet cabin are 30x13x22 inches. A total weight of the stroller is 32 pounds . These dimensions are best suited for the pets with the weight up to 70 pounds. It should also be noted that such dimensions can provide your pets with enough space for free movements inside the stroller. 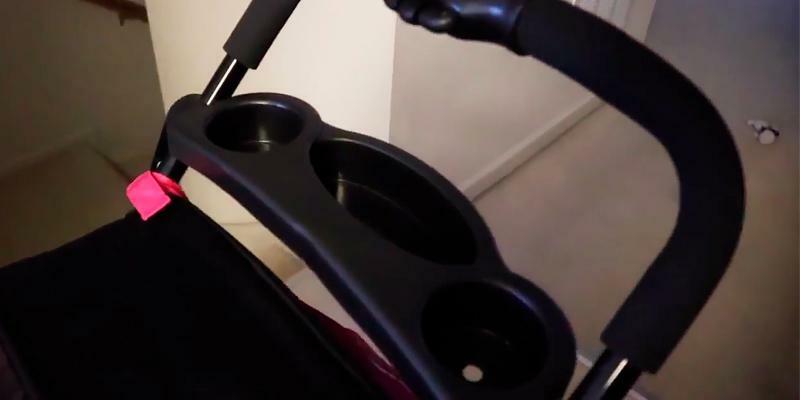 A handle of the stroller is located at the height of 42 inches. It makes the exploitation much more comfortable. This model is featured with the No-Zip technology. This is the most innovative technology, implying an easy-locking latch instead of a zipper. 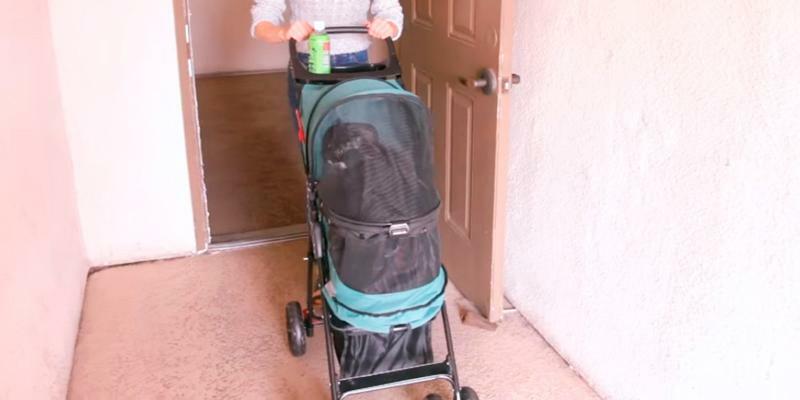 This technology helps to avoid hassle when a pet owner tries to open or close the stroller. Furthermore, this comfortable transport is equipped with a special compartment to keep pet's toys and your essential things there. Plastic cup holders will be very comfortable for taking a bottle of water or a cup of coffee. You also have an opportunity to choose the most convenient position of the canopy for your pet among 3 possible positions. Weather cover will protect your furry friend from bad weather while bolster pad will make walking with your pet very convenient. 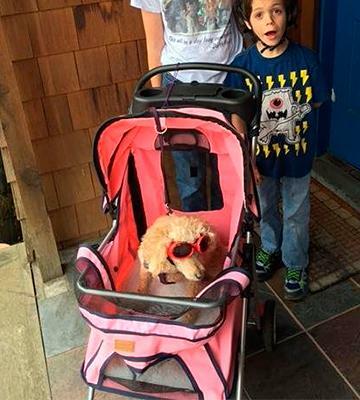 Our "Pet Gear" Stroller ! Mini review and Overlook! This large dog stroller will provide you with an opportunity to spend more time outdoors with your favorite pet. It is good not only for moving around but also for shopping. Due to its easy foldable construction, this pet stroller is convenient for taking your furry (or not furry) friend on a picnic, trip to another country or making your other audacious dreams come true. 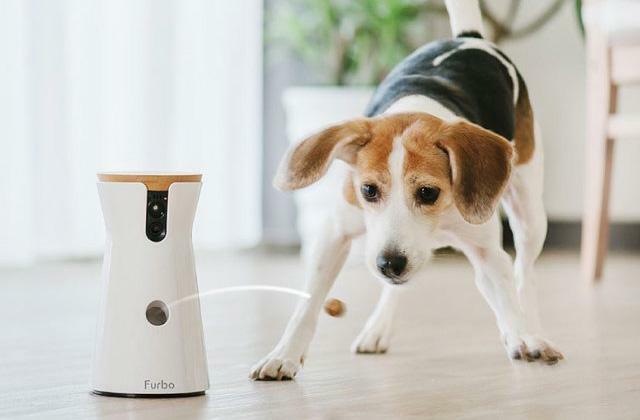 Moreover, it is a perfect item for avoiding such unpleasant moments when you notice an aggressive dog on your way but have no opportunity to change a trajectory of your root. 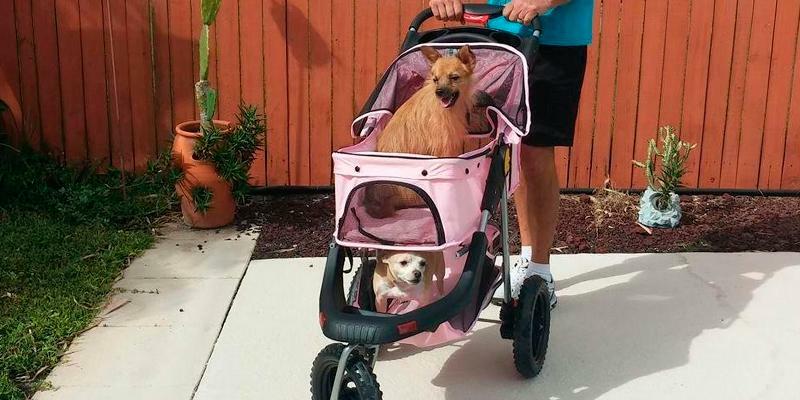 Thus, this pet stroller can even save the life of your furry creature because large and aggressive dogs will not be able to attack your pet. 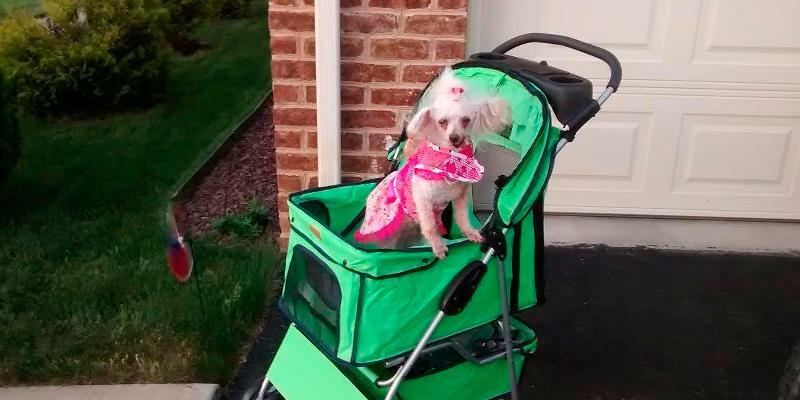 To sum up, this stroller will definitely help your dog live a bright and happy life! Pet Gear Expedition dog stroller is equipped with plastic wheels that provide a comfortable ride on the sidewalks and paved paths. The combination of its 8.25-inch front wheel and two 11.5-inch back wheels provide a comfortable ride. Furthermore, back wheels are fitted with powerful brakes. In other words, this construction prevents wheels from scrolling and makes your leisure activity very safe. As this pet stroller is equipped with a pet cabin of quite a large size (32x25x24 inches), it is very good for transportation of large dogs with the weight up to 150 pounds. Thus, it will suit even enormously massive pets and they will definitely feel comfortable. 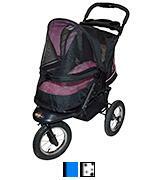 The handle of this stroller is located at the height of 40.25 - 42 inches and provides an optimal comfort of the Pet Gear Expedition stroller handling. Owing to a bug proof mesh, Pet Gear Expedition stroller provides an excellent ventilation for your pet. It also protects your pets from insects and rain. Moreover, if your dog is hyperactive, the stroller has a special mechanism to restrict its chaotic movements. The construction is easily folded. Due to the large pet cabin size, it is the best dog stroller for simultaneous transportation of several puppies. The model is represented in two colors - sky blue and burgundy. 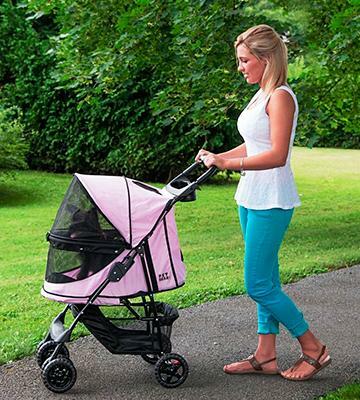 The design of this pink stroller provides your pet with an opportunity to be with you when strolling the streets or going shopping. It is equipped with a weather cover. Thus, you will not have to wash your cat or dog when you come home. Your pet will stay dry and clean due to the effect of the waterproof material this stroller is made of. Furthermore, this stroller will keep your pet safe in case you run into an aggressive stray dog and have no possibility to change your root. It should be also pointed out that the quality of this carriage is absolutely worth every penny. 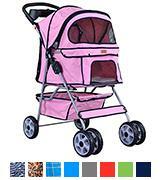 This BestPet 4 Wheels w/RainCover pink pet stroller is equipped with 6-inch plastic wheels. It should be noted that the passability of these wheels is not very high. Nevertheless, this carriage is perfect for riding along alleys or sidewalks. Travelling over rough terrain would not be so favorable for the wheels of this stroller. 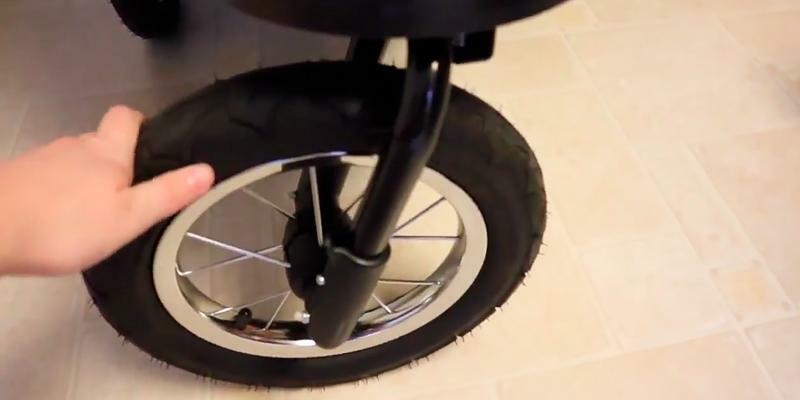 We recommend you to refrain from using it for riding over such surfaces. The dimensions of a pet cabin are 21x13.5x20 inches, so it will be comfortable for a small pet weighed up to 30 pounds. The handle is located at the height of 38 inches. 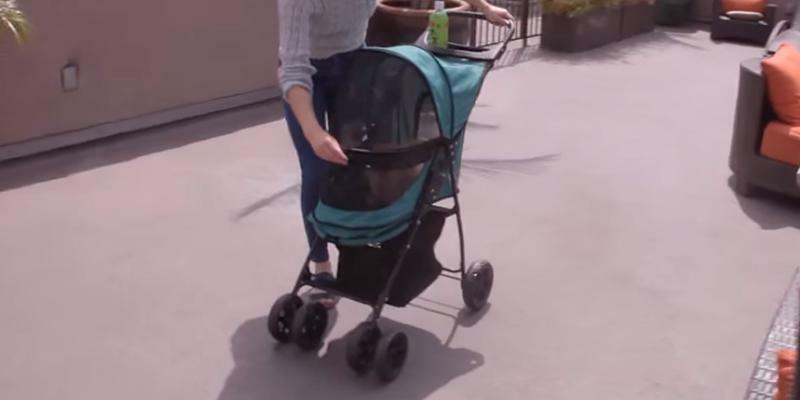 The double-fold construction of this pet stroller can be assembled within 5 seconds. Thus, this stroller is a quintessence of functionality and safety. Purchasing of this item will be a nice gift both for a pet and a pet owner. Although some consumers compare this stroller model with the Pet Gear Happy Trails pet stroller, we find the BestPet 4 Wheels w/RainCover pet stroller model more stylish. As it is reported, most pet owners purchase this model for walking outside with their poodles. 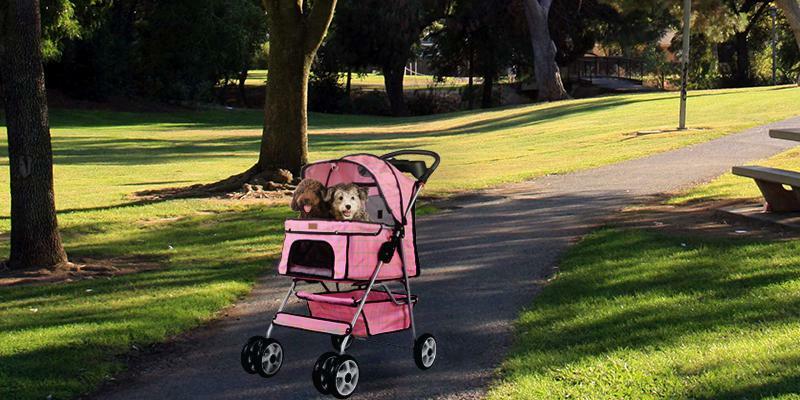 We hope that your pet will appreciate this pink dog stroller. 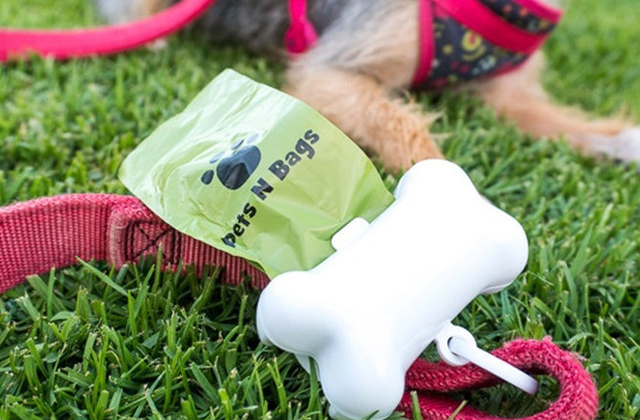 Probably, it is the best model for walking outside while it is raining as it has a special waterproof cover preventing your pet from being sopped in the rain. 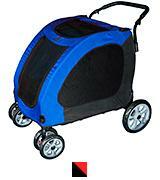 BestPet 4 Wheels w/RainCover pet stroller is also designed for transportation of your pet's toys. 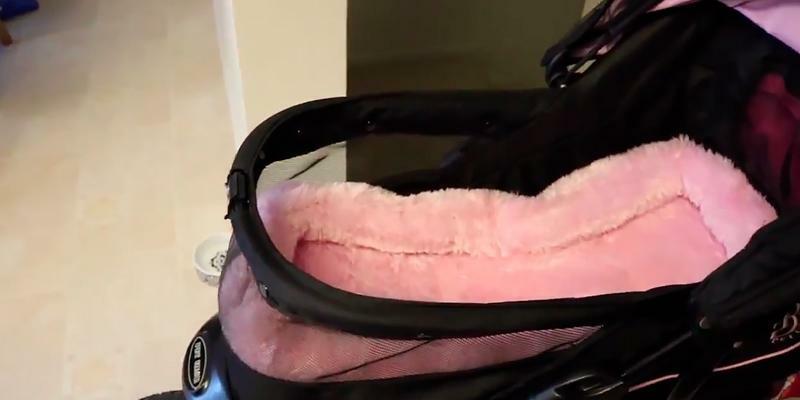 So, you can put all pet's essentials or just a bottle of water inside this stroller too. Ladies! Keep in mind that the color scheme of this model includes 10 colors. Furthermore, a convenient canopy allows you to select the most appropriate position for a constant ventilation of your pet. Such a good motivation to purchase this stroller! This pet stroller model is usually used for walking in the parks or yards. 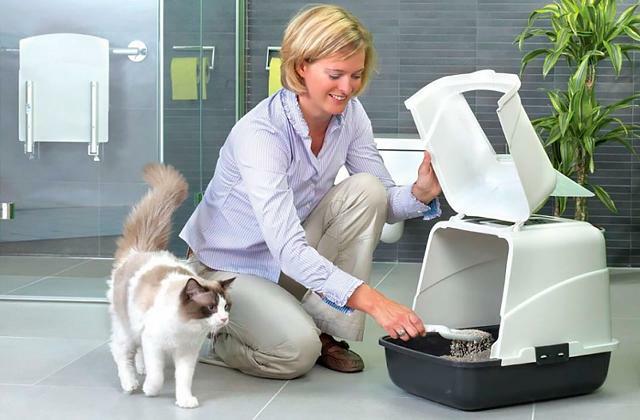 It will be appropriate for the pet owners whose cats or dogs have undergone surgery and now find it difficult to move. To tell the truth, it is the best construction for sick or old pets. Providing your pets with a panoramic view, this stroller does not restrict their movements and contributes to their healing and happiness. 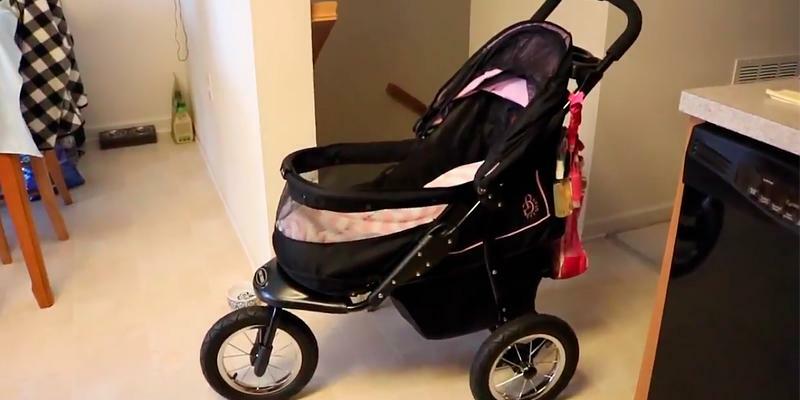 Besides having a nice design, this stroller is very comfortable and reliable. This model comes with four plastic 6-inch wheels which allow riding this stroller over various surfaces. Front wheels are equipped with shock absorbers; back wheels come with brakes that provide the safety of your promenade. As the pet cabin size is not large and maximal weight to hold is 13 pounds, it is obvious that such pet stroller model is best for small pets. The dimensions of the pet cabin are 24x12x22 inches. It would be an appropriate stroller for the cats weighed up to 35 pounds. If you like dogs, you should take into consideration the weight of an adult dog in case you purchase the stroller for a puppy. 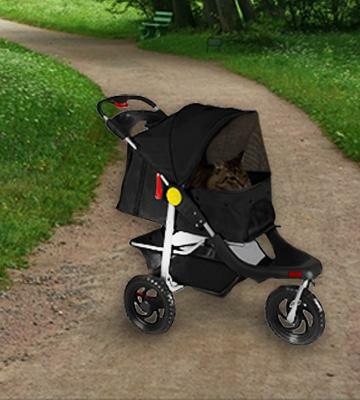 You should keep in mind that if this stroller is too narrow for your cat or dog, it will make your pet feel unhappy. Thus, you should ponder on the pet stroller model with larger dimensions. 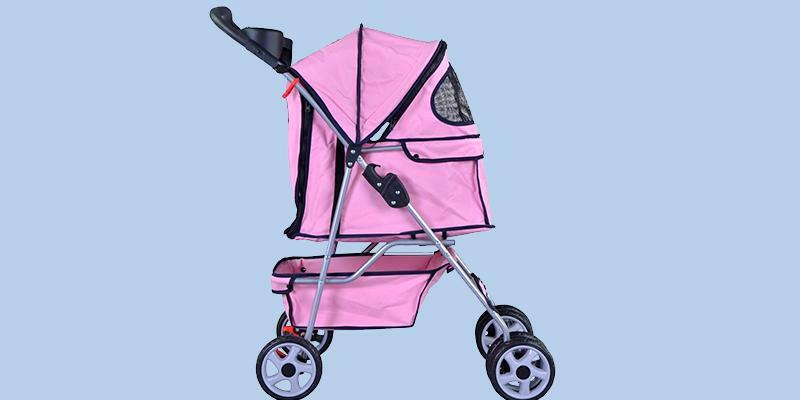 All in all, consumers describe this item as a very fashionable pink cat stroller. 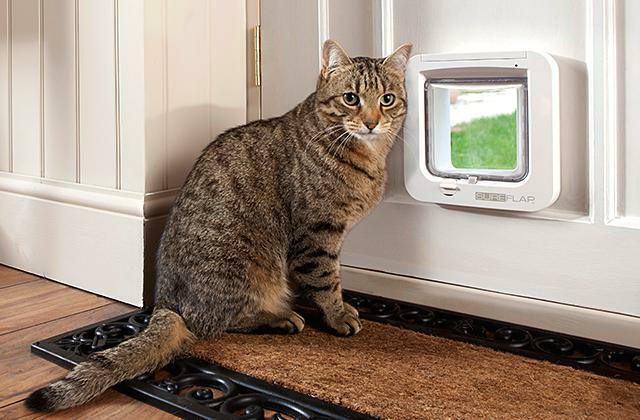 A large panoramic view window will provide your pet with unforgettable emotions. 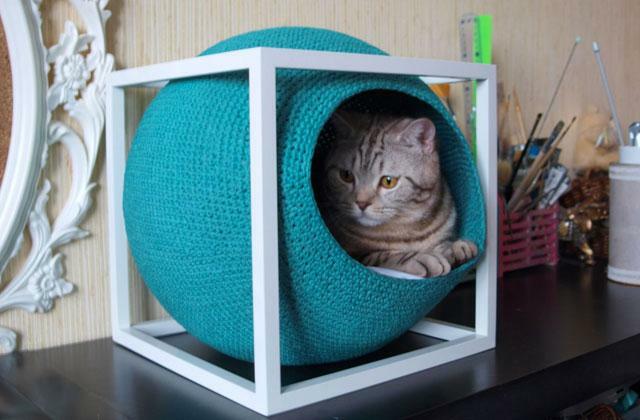 Moreover, it is also possible to choose the best position of the canopy to satisfy your pet. 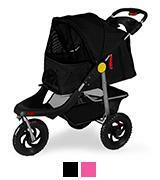 The stroller model comes is featured with No-Zip technology. It means an easy-locking latch instead of a zippered closure. Thus, you do not have to struggle with zippers anymore. 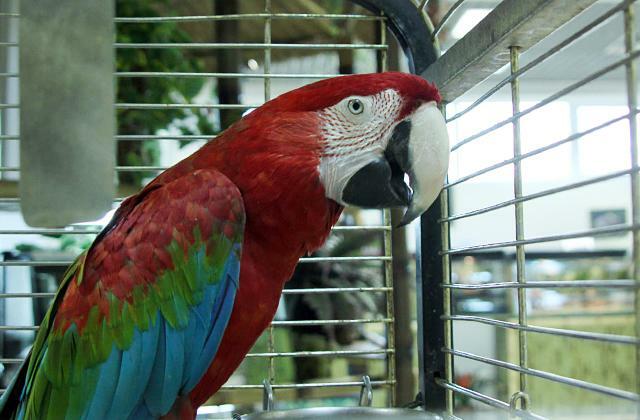 The movements of hyperactive pets can be restricted with the help of a special mechanism that is linked to the collar. 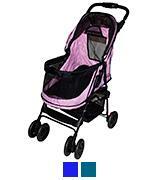 You can choose between pink, emerald or sapphire color of this stroller. Is your pet afraid of the street traffic? If so, a walking pet stroller is a great solution! The durable construction of this stroller provides your pet with safety during saunters. 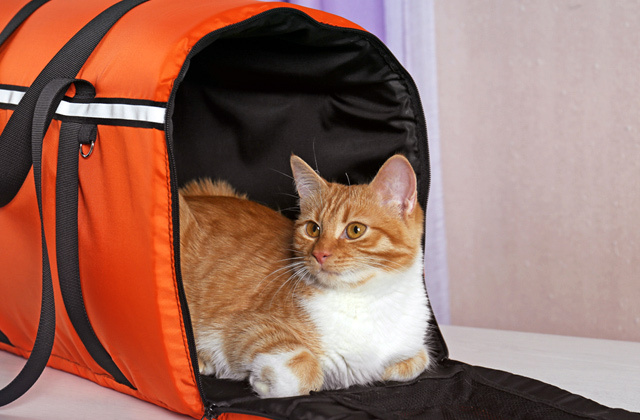 The mesh screens with zippers allow easy access, and at the same time, protect your pet from insects. For a cross-country ride, the manufacturer has equipped this jogging stroller with 3 large wheels that ensure extra stability. It's also worth mentioning that this model of a pet stroller will suit the families who lead an active life and like jogging. All you have to do before jogging is fasten your pet with a mounted binding. Have you ever wondered why it's necessary to spend time in the fresh air? Scientists have proved the beneficial influence of the fresh air on all living beings. In comparison to fresh air that contains oxygen, the air inside premises is saturated with carbon dioxide. Oxygen is vitally important for both people and animals. So, a stroll is a healthy leisure for you and your beloved pet. It's also significant to note that a regular walking in a woodland provides any living organism with enough phytoncides to develop endurance to any kind of disease . 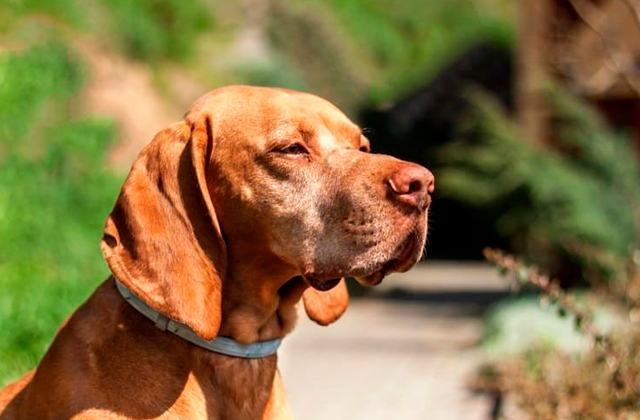 Thus, if your pet has had a surgery or is still recovering from recent illness, improve its health by taking it outside to breath life-giving fresh air. 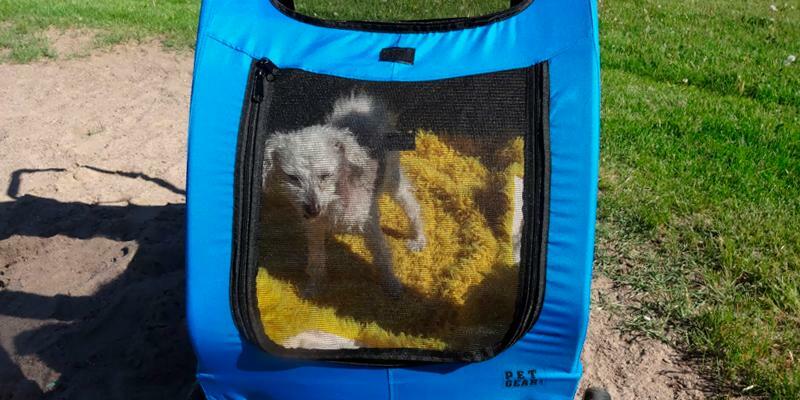 Be sure, such walks in a pet stroller will aid recovery of your precious pet! If you want your doggie to look different to other pets in the street, have a look at assorted dog/cat collar neckties. 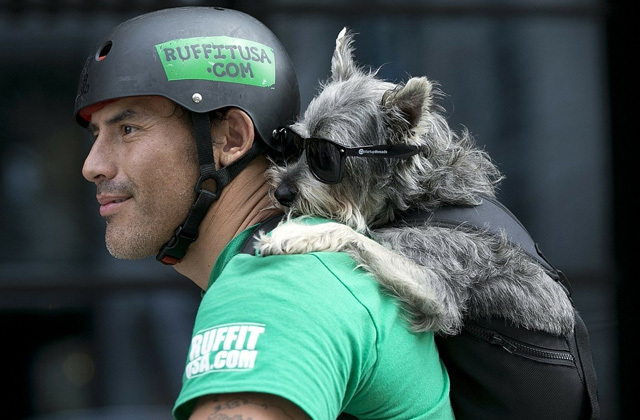 What Is a Pet Stroller? 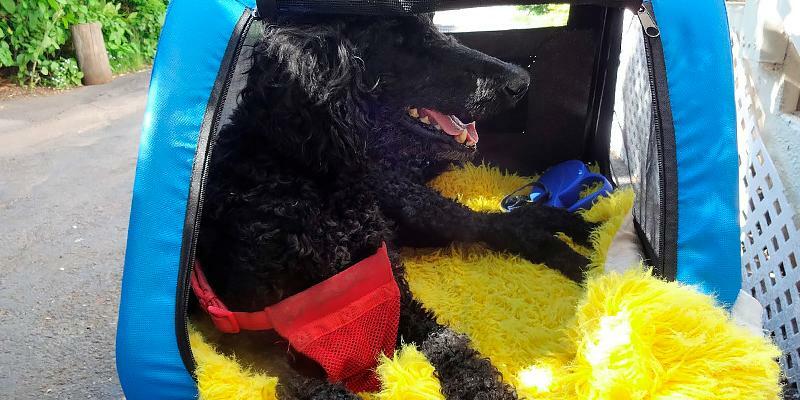 Those consumers who prefer jogging or walking to driving a car may often face a problem how to get to this or that place with their favorite pet quickly and comfortably. Danger on a road can come literally from anywhere - other cars, dogs or cats. 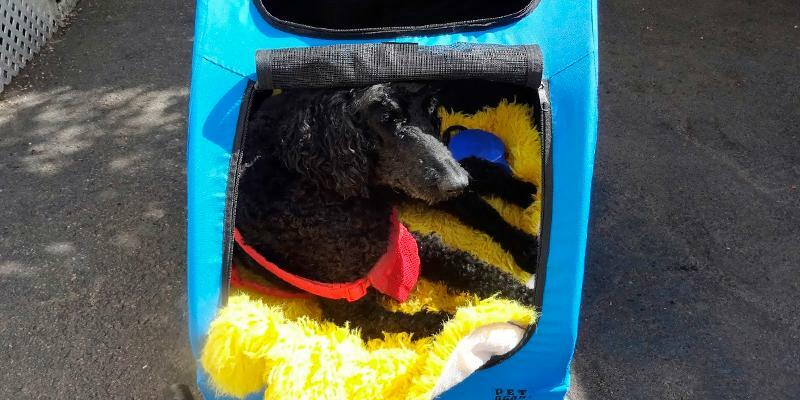 Moreover, pet strollers will be perfect for a comfort transportation of old and weak pets. 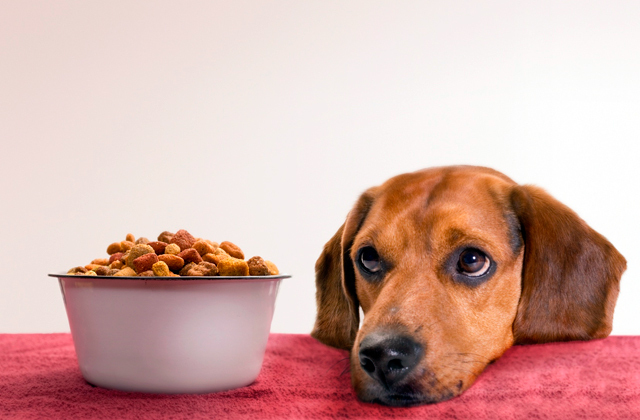 If your pet has undergone surgery, it will need some time for recovery. 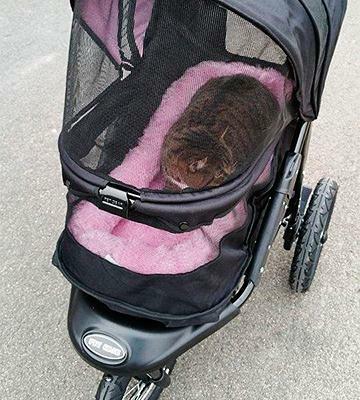 Thus, you can put your furry friend into a stroller and take it to the fresh air. Using a pet stroller, you will no longer need to carry your pets in bags or arms. In general, purchasing of a pet stroller can become the best solution with respect to comfort and safety of your four-footed friend. Pet stroller looks pretty much like a pram with a cabin mounted on the frame. Most are suited for transportation of adult pets of all breeds, several puppies, and cats. Pet stroller will become an ideal way to spend more time outdoors, visit various shows and exhibitions and ensure safety and comfort of your pet. You may also be interested in pet cages and crates, portable "dwellings" for traveling with your pet by plane, car, and train. And to make your pet feel super comfortable at home, we suggest getting a dog house. First thing first, it's essential to decide what exactly you'd like to get a pet stroller for. If you are looking for a stroller to go walking or shopping, you should focus on foldable models. Three-wheel strollers with a high-built handle and reliable wheels are suitable for those pet owners who like jogging. Multifunctional strollers feature a detachable design and thus, ideal for both transportation in a car and walking in the street. People should consider wheels size and material a stroller is made of because these factors directly affect your outdoor pastime. If your walk with your pet in the park, a lightweight stroller with 6-inch wheels will be most appropriate for this situation. If you often walk on gravel or grass surface, you should consider the benefits of the stroller models with 10-inch rubber wheels and shock absorbers. We also want you to consider stroller dimensions. They must match the size of your adult pet. If a pet cabin is too small for your furry friend, your pet might feel awkward in the tight place as well as lack the fresh air. 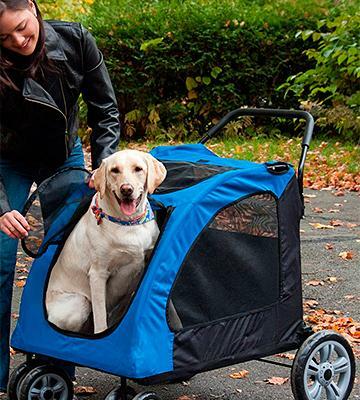 And conversely, a too oversized cabin may roll around the stroller and just as well, entail inconvenience on your pet. Weight limit of the stroller is no less important factor than all the above. To tell the truth, we consider this factor as the most important for choosing a pet stroller. If the weight of your pet exceeds the weight limit of the stroller, your pet will surely damage it. It is better to purchase the stroller the weight limit of which is up to 30 pounds (if you own a small pet). But if you've got a medium-sized and even large breed, you should consider the stroller, designed to hold up to 70 pounds. Consider extras of pet strollers. Insect and weather cover protect your pets from the negative impact of the environment. Stroller models equipped with adjustable canopies can provide the best air flow circulation for your cat or dog. It is also very convenient to own a stroller equipped with storage compartments which allow you to keep your items or pet's toys alongside. Moreover, the presence of cup holders in pet stroller's construction will contribute to pet owner's comfortable walk. As most puppies and kittens are hyperactive, their owners risk to lose them while walking outside. With the pet in mind, manufacturers have equipped most pet strollers with tethers. 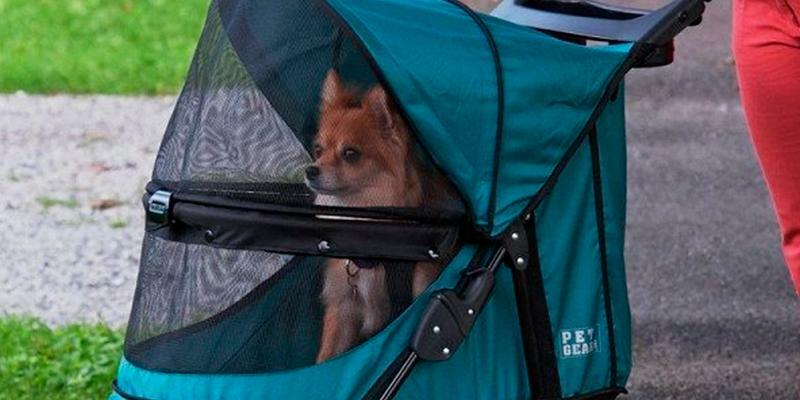 The presence of tethers inside the stroller is very important for pet owners' calmness and safety of pets. It should be stressed that contemporary pet strollers are featured with innovative No-Zip technology. 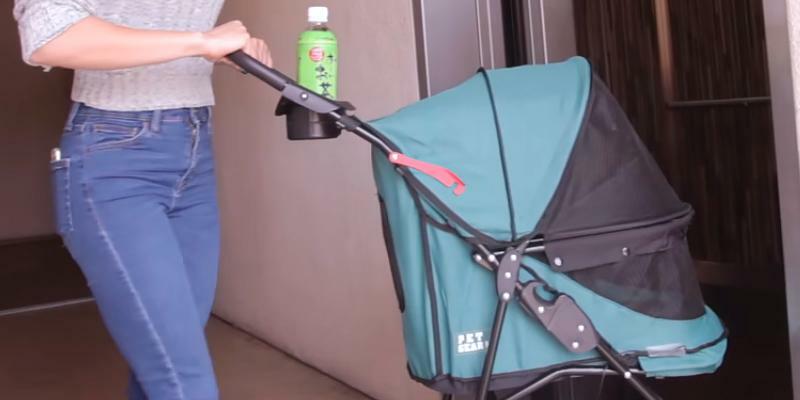 This technology implies using of an easy-locking latch instead of zippers and provides pet owners with an opportunity to open and close the stroller with the help of one hand only. 1. How to Choose a Pet Stroller, 1-800-PetMeds.